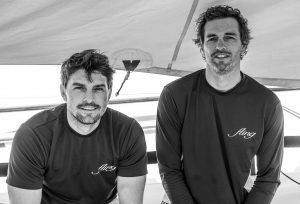 The Pammenter brothers have long been involved in fast-paced racing and the world of yachting, each doing it in their own way. Sail + Leisure caught up with them in their “downtime” to find out what keeps them coming back for more. 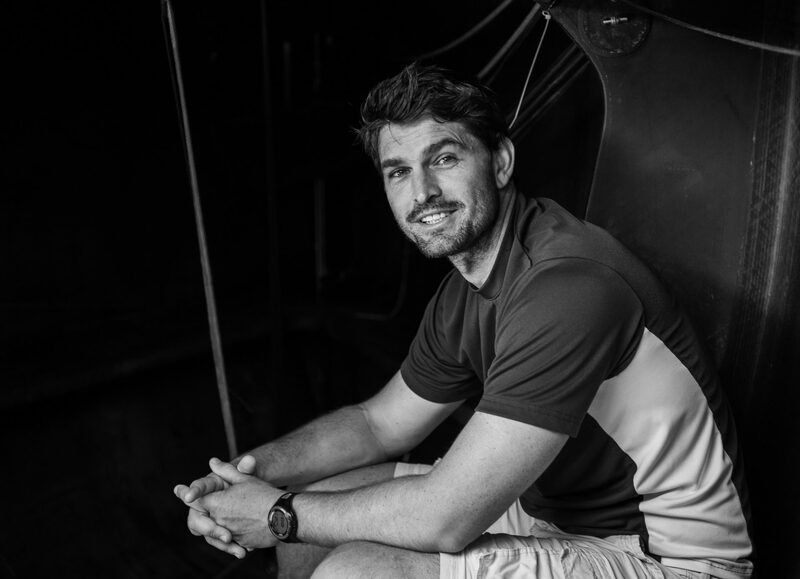 We first chat to Mike as he looks back on his sailing career and how he’s overcome obstacles and sometimes injuries to pursue his dreams. Mike (35) followed the path of many young South Africans and went straight to university after school. I remember our dad telling us that he would pay for our tertiary education, but we weren’t given the option of a gap year. I didn’t necessarily agree with him at the time but he knew us too well, and if I had taken a gap year, I’m certain I wouldn’t have gone to university at all. While studying, I managed to pursue my love of sailing by racing in regattas around South Africa and working as a sailing instructor. After graduation, I was given an opportunity to sail to the UK. It happened so quickly. I was in Cape Town then and within hours of agreeing to join the 70ft cruising boat I was heading back to my parents in Durban to pack my bags, collect my passport and have a farewell braai. I’m sure if I had given it more thought I would have talked myself out of the trip but, thankfully, insanity prevailed, and I was gone within a few days. It was nearly 10 years before I returned to South Africa. In that decade, I was blessed to have competed in two Volvo Ocean Races, achieve two world records (in the Round Britain and Ireland Race and Round the Island Race), and sail in some of the world’s greatest offshore and coastal races. I had been overseas for a few years and was working onboard Mari Cha 4 when I was given the opportunity to sail on a former Volvo Ocean Race boat Ericsson. Ericsson had competed in the 2006-07 edition and was now involved in European coastal races as a training and marketing exercise, building up to the 2008-09 Volvo Ocean Race. I then joined Telefonica Black on a trial basis for their second entry Telefonica Black in the 2008-09 Volvo Ocean Race. 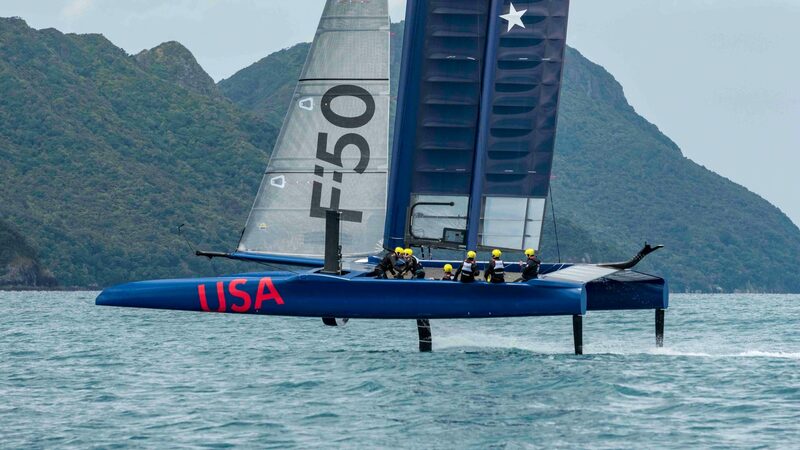 That campaign was my introduction to professional sailing and the hours of work and training that go with it. It was a real eye-opener to see how tough offshore racing really is. The conditions you sail in and the mental and physical challenges associated with them now seem a world away, but they’re still some of my best memories. Although, at the time, they certainly seemed more like nightmares! I’m often asked to describe how hard this race really is. Until you have put yourself in the middle of an ocean with no escape and in such challenging conditions, it’s impossible. After sailing in the 2008-09 edition of the Volvo Ocean Race, I continued competing in coastal and offshore races and regattas. I spent a few months based out of the UK and a short period in Europe. I also headed down to Sydney to join the Ichi Ban Team for the Rolex Sydney Hobart Yacht Race. It was while based in Sydney that I was asked to join Groupama for the 2011-12 Volvo Ocean Race. 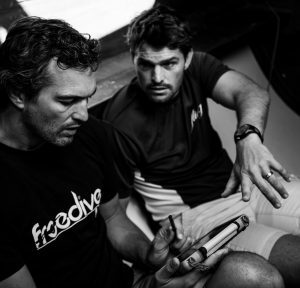 I relocated to France where I spent eight months training and working on boat development with the team. It was a tough decision at the time but I decided to leave Groupama to join Camper, based on team dynamics. I knew that I would find a better fit with a predominantly New Zealand- and Australian-based team. Although Groupama ultimately went on to win the Volvo Ocean Race, I have absolutely no regrets about leaving the team. 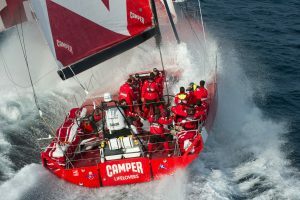 Team New Zealand was run by CEO Grant Dalton and the Volvo Ocean Race team Camper by skipper Chris Nicolson. 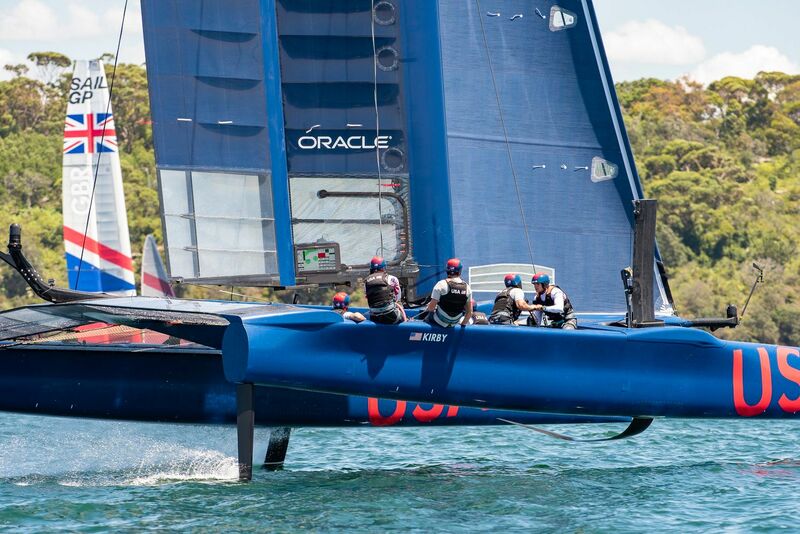 The management style, team ethos and sailing crew suited me down to the ground and I found my feet very quickly. The race took a nasty turn for me while we were sailing into Miami. I had unknowingly herniated a disk in my lower back while picking up a sail. Prior to that I had never given much thought to long-term injuries or self-preservation. I had ended up on crutches in a previous race, but my recovery was quick. I had also lost two teeth and had minor dental reconstruction, all of which didn’t bother me too much apart from the obvious pain and agony at the time, but this injury was different. After we docked in Miami the team physio, Paul ‘Willow’ Wilson, looked me over. I argued the severity of my injury with him and laughed when he suggested that I wouldn’t be able to get up the following morning. I had sustained the injury two days prior to our arrival in Miami. By pushing through the pain of the herniated disk, I had apparently worsened the injury but the jubilation of finishing in second place after our boat breakages in the previous leg had masked the pain. I could have been forgiven for thinking that nothing major had happened. It took me well over a week before I was able to walk to his hotel room by myself for physio treatments. The intention was to complete the rehabilitation and get back into the race for the final two legs. Unfortunately, despite our best efforts, this was not to be, as on my return to the boat I slipped my disk almost immediately, ironically, by picking up a sail bag! Watching the boat leave the dock and return from the final three legs was agonising and something I still find difficult to deal with. It’s as though the race isn’t finished for me still and, in some respects, it never will be. Two years and countless hours of rehab later, I decided to have surgery on my back. The recovery has been slow but, with an injury of this magnitude, that is to be expected. I essentially stopped sailing for four years, allowing my back to rest and heal while turning my attention to other endeavours. It was only recently that I felt comfortable enough to sail again and found myself back on the foredeck and racing internationally. I’ve been competing on a regular basis on board Lord Irvine Laidlaw’s Highland Fling and relishing being able to sail competitively again. He is a very accomplished sailor and has won most of the top international sailing events with his well-run and professionally sailed campaigns. The sailing calendar is not only extensive but includes some of the top Maxi sailing events in the world and some smaller, but just as competitive, events in Cape Town and the Solent. Mike and his older brother Shaun have been sailing together since they were young boys. They still sail together today, often against one another. Look out for our next post on Shaun and where his sailing career has taken him.